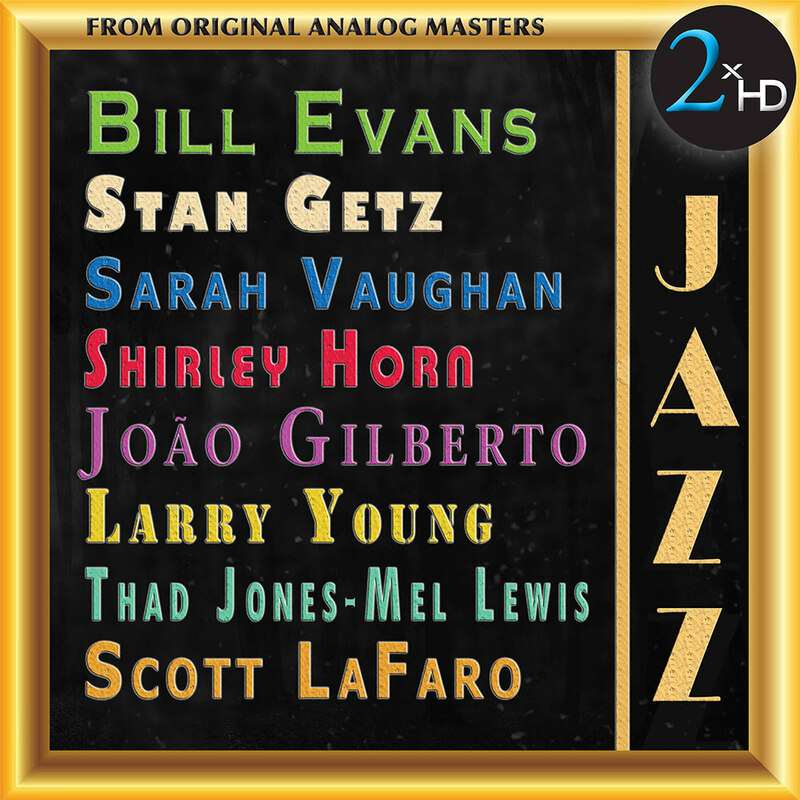 This collection of over 106 minutes of classic jazz contains exclusive performances by jazz greats Bill Evans, Stan Getz, Sarah Vaughan, Shirley Horn, João Gilberto, Thad Jones with the Mel Lewis Orchestra and Larry Young. This album is a high-resolution digital transfer of material originating from an analogue master source. It may contain noise, distortion or other artifacts, and may also contain audio which is limited in bandwidth or dynamic range, due to the technology available at the time of its production. As such, it is offered as a high-resolution documentation of a historical release. For the 2xHD transfer of this recording, the original 1/4”, 15 ips NAB master tapes were played on a Nagra-T modified with high end tube playback electronics wired with OCC silver cable from the playback head direct to a Telefunken EF806 tube. The Nagra-T has one of the best transports ever made, having four direct drive motors, two pinch rollers and a tape tension head. We did an analogue transfer to DSD 256 (11.2 MHz) using Merging Horus/Hapi A/D converter and a dCS Vivaldi clock. Each format (96 kHz, 192 kHz, DSD 2.8 MHz, DSD 5.6 MHz) was created from that transfer.